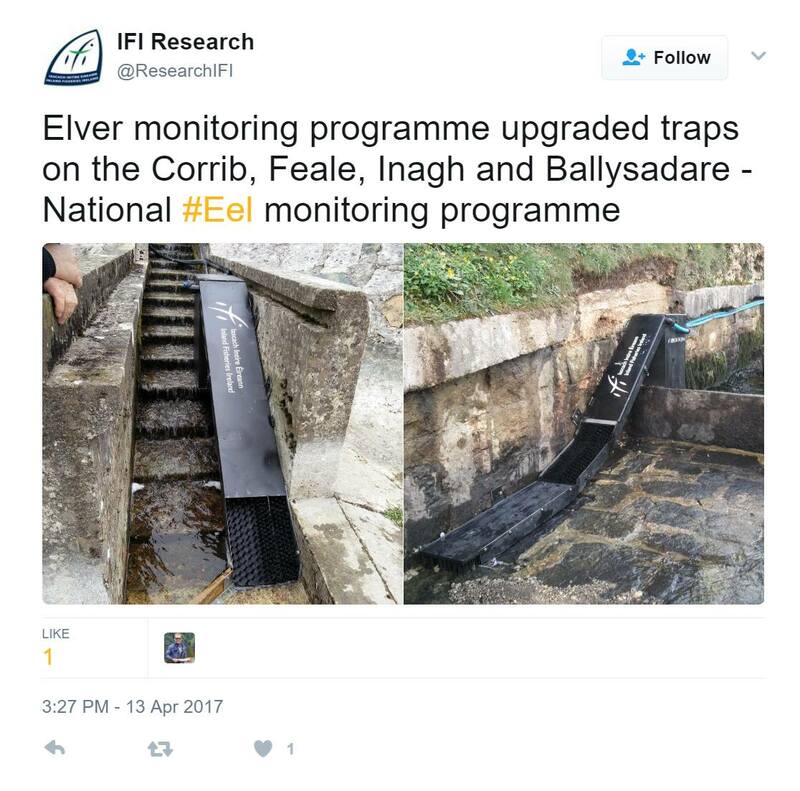 It took years of campaigning – but progress is finally being made with both Inland Fisheries Ireland and ESB upgrading their elver traps traps for the 2017 season. This is a very welcome development and 2017 will now hopefully be the first year that accurate #eel recruitment monitoring will be undertaken in Ireland. But why did it take this long? and why was it left up to unpaid volunteers to push these changes through? This is also just the fist small step in relation to monitoring and managing eels effectively in Ireland. However, it is an important step and we welcome this development. We inspected the new trap at Ennistymon Falls on the River Inagh, Co Clare (header image). We believe that this is a good trap that will provide an index of eel recruitment at this site. However, the trap is also likely to catch a large amount of elvers on occasion and we are concerned about the size of the holding tank. PS: The elver runs in the spring of 2017 were considered to lower than some of the more recent runs (e.g. 2014). However, in May 2017 there was a significant elver run at Ennistymon Falls. See the video here. Elvers cannot use the fish pass at Ennistymon. Hundreds of thousands die here each year trying to climb the falls. Monitoring elvers using index traps is not enough – we need to be opening up migration pathways also. A hydroelectric station is under construction at Ennistymon falls. However, incredibly no elver pass is currently being provided here as part of this scheme. Inland Fisheries Ireland are failing to ask for new developments like this to include them.